Parhedros develops entertainment software that focuses on bringing a fresh look and feel to classical genres of video games. The company's current projects seek to reinterpret some of the best and most demanding features of old-school role-playing, adventure and platforming games for a generation of players that is increasingly jaded with a steady diet of "dumbed-down" games. Because we are avid gamers ourselves, we are dedicated to making fun and innovative games for all ages. Currently under development, MathRomp.com is a comprehensive math tutoring application designed to feel like a fun game, aimed at children in primary and middle school. Being smart was never so fun! 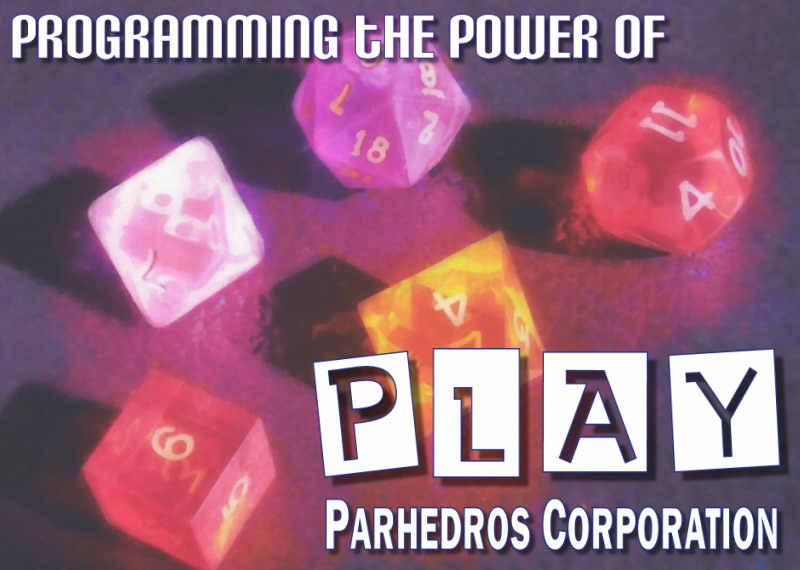 Released in 2007, Parhedros: The Tunnels of Sethir was an innovative fantasy role-playing game of deep exploration, rich tactical combat, complex NPCs with highly realistic AI personalities, and deviously fun (and entirely optional) puzzles. The game featured a good, old-fashioned dungeon-crawl which sent you directly into a mysterious and dangerous dungeon, populated with interesting characters and fiendish monsters, in order to solve a problem of major importance to your character. Parhedros revolved around challenging and insanely fun tactical combat, with turn-based battles that demanded thoughtful deployment, effective maneuver, and a sound mix of unit types. Although the game is now outdated, we are still proud of Parhedros: Tunnels of Sethir as an innovative experiment in story-telling, using the techniques of interactive fiction and hyperfiction. The game featured a revolutionary Non-Player Character (NPC) interaction system: our goal was to make it seem that you were chatting with real people, not talking billboards. You could spend hours chatting with the main Non-Player Characters in order to learn about their histories, motivations and secrets, and thus better understand how to solve the intricate mysteries of the Tunnels of Sethir. Each NPC had a richly developed personality and a complex maze of moods and desires. Based on how you interacted with each NPC, you might become the best of friends or mortal enemies, or possibly even starry-eyed lovers! Our team published the Risqué Renee series of casino games in 1999, and while they certainly developed a small cult following, we discontinued them in 2002. By then their concept and graphics were just a bit too dated, and worse still, the humor was starting to wear thin. Risqué Renee's Vintage View Poker was a light-hearted parody of the strip-poker genre that was so popular in the mid-1990's. But it was also a wicked fun video-poker style game that incorporated levels and victory conditions. Risqué Vintage View Slots was a silly but addictive slot machine game that "paid-out" funny antique postcards from all around the world, with our own snarky captions added. We are toying with the idea of thoroughly redesigning the series, however, and we may release new and better versions sometime in the near future.